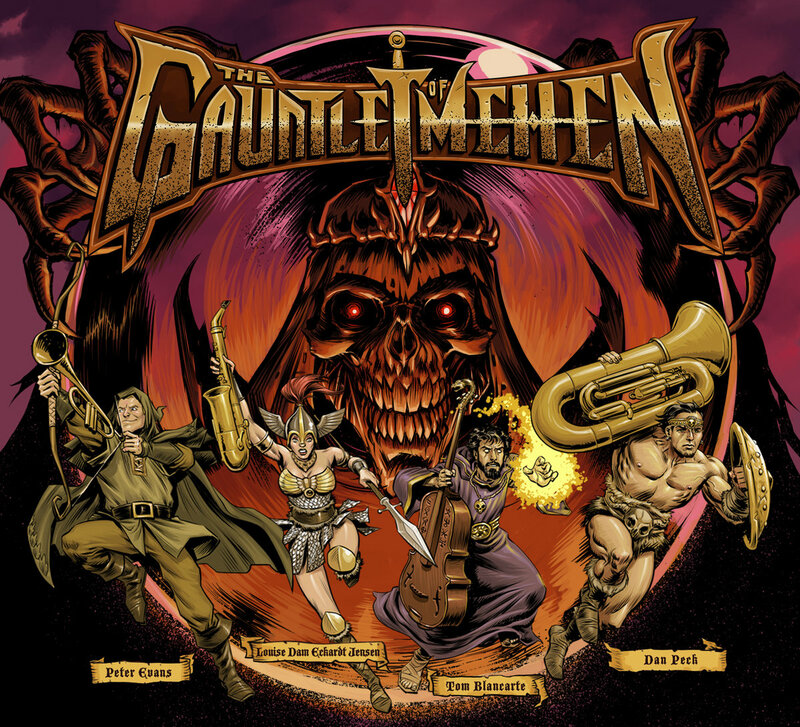 The Gauntlet Of Mehen CD in a 4 panel digipak with illustrated artwork by Lukas Ketner. 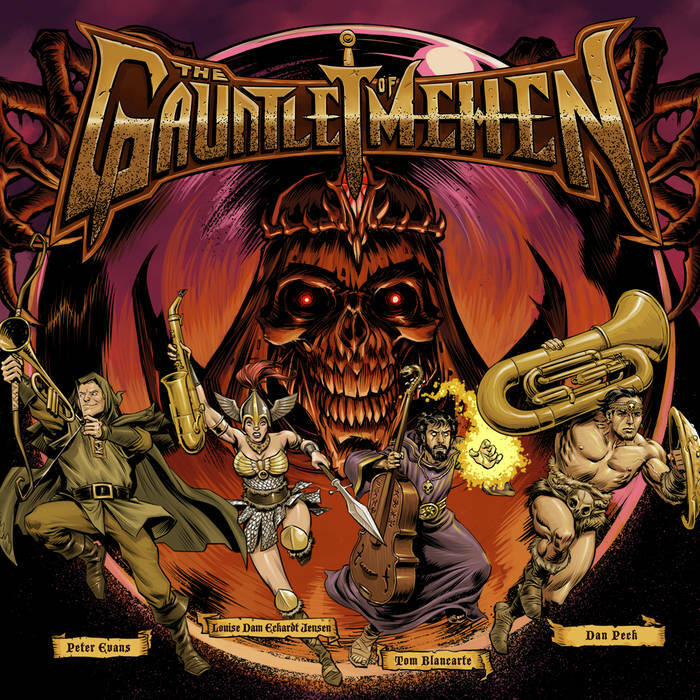 Includes unlimited streaming of The Gauntlet Of Mehen via the free Bandcamp app, plus high-quality download in MP3, FLAC and more. Destiny Records is proud to present this summit of New York master improvisors, who gathered together at Beardog Studios at the foot of the Texas Hill Country to create an album guaranteed to take its listeners on an amazing journey of improvised sword and sorcery musical madness. The group was put together by Texan bassist Tom Blancarte at the request of his hometown friend and Destiny Records founder, Michael Shields. 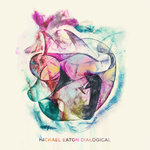 Picking carefully from his friends and peers in New York City, he chose three unique and uncompromising players with whom Tom has had collaborative projects in the past and present. Danish saxophonist and vocalist Louise Dam Eckardt Jensen is his wife and duo partner in the post-apocalyptic duo The Home of Easy Credit as well as the leader of the group Sweet Banditry, of which Tom is a member. Blancarte once co-led the duo Sparks with trumpeter Peter Evans, and has often featured as a member of his quartet, quintet and octets. Dan Peck is the leader of the tuba doom jazz trio The Gate, which also features Tom, and the two have also played together as members of Peter’s Octet and the Sparks Orchestra. 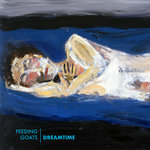 All four musicians share a common love for uncompromising creativity and expression, as well as each possessing a heavy contrarian streak. 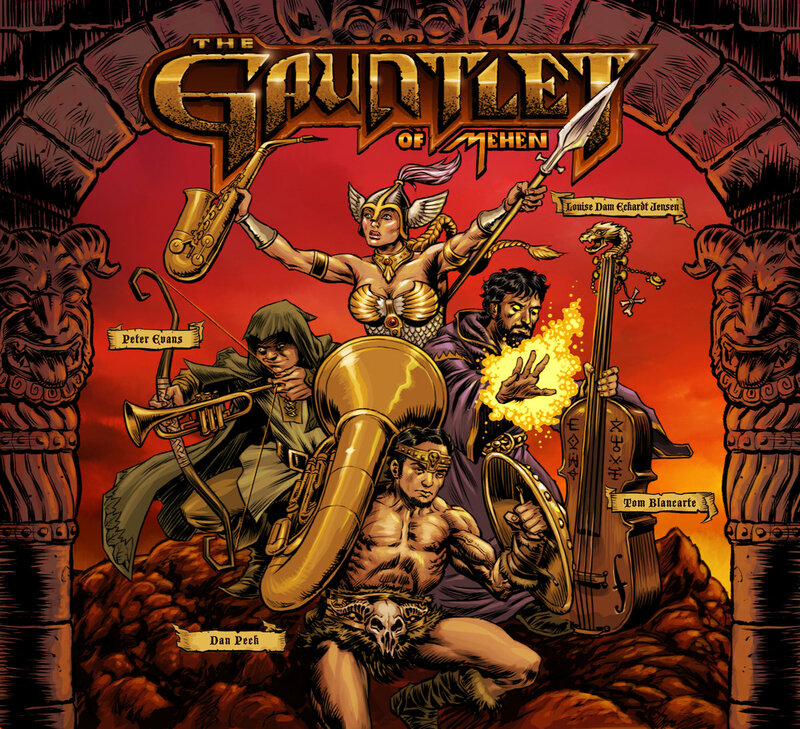 Inspired by the collaborative gameplay of the classic arcade game, Gauntlet, as well as his childhood interest in role-playing games, the idea behind the project was to make sure that no one musical identity would be subsumed by the whole, but be kept separate and unique. Similar to the way one would play a game like Dungeons & Dragons, each player takes on special roles and abilities when they pick up their instrument, and can then use the instruments to go on fantastic adventures together. Meticulously recorded by engineer George Shalda, the improvisations on the album are an exact record of the group’s sonic adventures. To further emphasize the sword and sorcery theme, Blancarte included a fragment of a short story he composed, written in the style of Texan author Robert E. Howard, best known as the creator of Conan the Barbarian. The story fragment deals with the concept of game-play, presented as a concept that has existed for millennia. The word “Mehen”, probably unfamiliar to most readers, is both the name for a lesser-known Egyptian snake-god and for an Ancient Egyptian board game, whose rules are at present little understood. Rather than use some sort of ordinary abstract art for the album art, it was decided that a true comic book artist would best be able to bring the sword and sorcery theme to life. Portland-based comic book illustrator Lukas Ketner, best known for his work on the science-horror comic Witch Doctor, was enlisted to depict the musicians as the Warrior, Elf, Wizard and Valkyrie of the original Gauntlet, tying together the music and the short-story fragment to create a cohesive presentation. A veteran of the DIY New York improvisation, jazz and new music scenes for the past decade, Texan bassist Tom Blancarte has held the low end in a wide variety of avant-garde bands such as the electro-acoustic jazz of the Peter Evans Quintet, the banjo-shred power trio Seabrook Power Plant, New Timbralist free jazz noise trio Totem, the duo Sparks with trumpet phenom Peter Evans, an eerie post-apocalyptic duo with wife Louise Dam Eckardt Jensen (The Home of Easy Credit), improv doom tuba trio The Gate and new Danish post-punk improv quartet Sweet Banditry. He has toured extensively throughout Europe and North America, playing venues that range from dingy squatted basements to international festivals. He lives in both New York City and Denmark with his wife and daughter. Peter Evans has been a member of the New York musical community since 2003, when he moved to the city after graduating Oberlin Conservatory. Evans enjoys working in wide range of areas in modern music and has therefore been working to greatly broaden the expressive potential of his instrument. 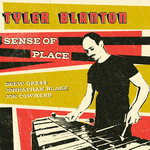 Current ensembles include the Zebulon trio, the Peter Evans Quintet, the collaborative trio Pulverize the Sound (with Tim Dahl and Mike Pride), and Rocket Science, (with Sam Pluta, Craig Taborn and Evan Parker). Evans has been performing and recording solo trumpet music since 2003 and is widely recognized as a leading voice in that field. He has been commissioned by the International Contemporary Ensemble, Yarn/Wire, the Donaueschingen Musiktage Festival, the Jerome Foundation's Emerging Artist Program and is a 2014 Artist-in-Residence at Issue Project Room in Brooklyn, NY. 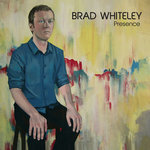 He has presented and/or performed his music at many major international festivals and has toured his own groups extensively in Europe, Canada and the United States. Evans also performs with both the International Contemporary Ensemble and the Wet Ink Ensemble. In 2011 Peter Evans founded his recording label More is More Records which has released several highly acclaimed albums, most recently the Quintet's "Destination: Void". 2015 will see the release of new solo music and the debut recording of Pulverize the Sound. Louise Dam Eckardt Jensen, a native of Sønderjylland, has led an uncompromising career that has taken her abroad to Amsterdam, Berlin and New York. She continues her relentless quest for brutal honesty and innovative artistic vision around the world, as well as in her native Sønderjylland. Utilizing her voice, flute and sometimes electronics in addition to her primary instrument, the saxophone, she is best known for her duo The Home of Easy Credit with her husband Tom Blancarte, her new post no-wave improv quartet Sweet Banditry, her introspective solo performances, as well as regular work with musicians such as Mike Pride, Tim Dahl, Brandon Seabrook, Michael Evans, Han-Earl Park and Weasel Walter. Recently, she started a record label, Marsken Records, whose purpose is to focus on avant garde music from Sønderjylland. She is also a member of JazzAls, the Sønderborg-based music collective led by bassist Niels Præstholm. She has traveled extensively throughout the United States and Europe, performing at a wide range of festivals and venues. Dan Peck is a Philosopher of Tuba. Living in New York since 2005, he has absorbed the filth and genius of the City, and continues to develop and question his frequency on this vibrating planet. Dan is founder of Tubapede Records, which has released 3 records to date, and gore-jazz trio The Gate (with Tom Blancarte and Brian Osborne), which has released 4 albums and completed 3 national/international tours. He currently is side man and co-collaborator in a number of ensembles, including Earth Tongues (with Carlo Costa and Joe Moffett), Grandpa Musselman and His Syncopators, Ingrid Laubrock Quintet, Steve Lehman Octet, and Tony Malaby's TubaCello Quartet.